As many of you know, St. Patrick's Day is nearly upon us, and with it, people will be looking around for Irish pubs to go to, be it for traditional boiled dinners, live music, pints of Guinness, or just to hang out and soak up the atmosphere. 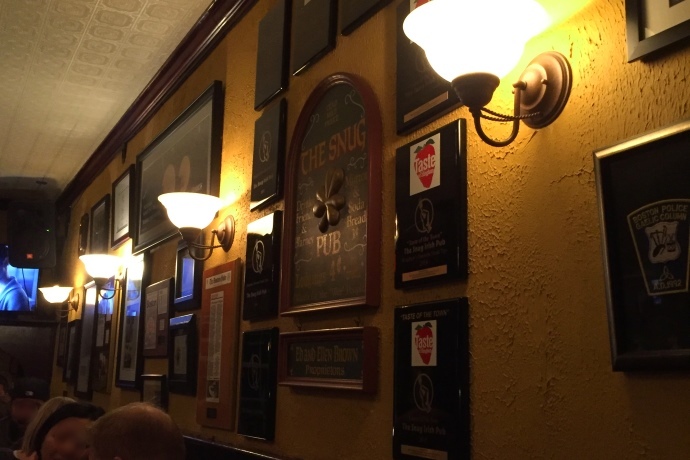 There are countless Irish pubs in and around Boston, so it can be difficult to make a choice as to which one(s) to go to; this latest feature may be of some help, looking at ten Irish pubs across the region, many of which are lesser-known and/or a bit off the beaten path. These also tend to be slightly more laid-back then some of the others, so if you're looking for a wild and crazy St Patrick's Day, this may not be the list for you. Click the link below to take a look at the pubs. Posted by MH, Boston's Hidden Restaurants, on March 11, 2019.